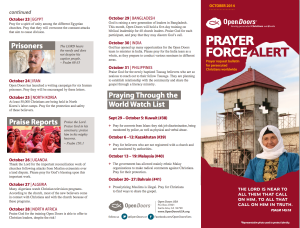 We wanted to make this available for anyone who may not subscribe to www.opendoorsusa.org prayer calendar already. It’s a great resource and tool for helping to keep focus on needs around the world. 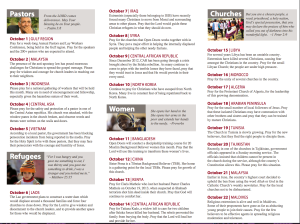 Check out their site and feel free to download this prayer calendar here.